Prominent ex-Biafra warlord and elder statesman, Col. Joe Achuzia, rtd, has declared that it would be a sorry day for Nigeria if anything happens to the leader of the Indigenous People of Biafra, IPOB, Mazi Nnamdi Kanu. 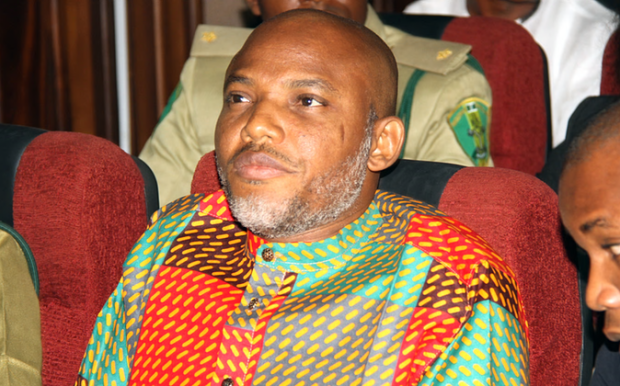 Kanu was charged with treasonable felony and has been detained in Kuje prison for over one year. While insisting on Kanu’s unconditional release, Achuzia noted that the IPOB leader had done nothing and had the right to be free. He told Sun, “Why we say unconditionally is that there should be no condition attached to his release, he has the right to be freed under the Nigerian law, and a competent court of law has already asked several times that he should be released. “This issue of Kanu is very intriguing. If something happens to him while in custody, the government would have created a matter and an indelible black mark.